Infinity Slots is fast becoming the Number 1 Las Vegas style Slot Machine Game. You can get a big win with over 100 of the best, unique Casino Slots games featuring a huge variety of themes from the epic Space Travel to Wild West and Pirates Gold! Download now and get an amazing 3,000,000 coin Welcome bonus! 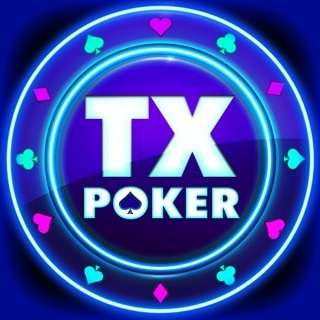 - Featuring our regular Daily and Weekly Challenges and even hourly bonus games. - Our unique puzzle system means you can unlock and open even more new games than ever before. - Add your Social Media accounts and invite your friends to keep the competition strong. - A brand new VIP Room with Deluxe Las Vegas 777 slots for special guests. - Don’t forget Jackpot Party which includes Progressive Jackpots in every single fruit machine. - Double your prize by playing on with our Risk games or earn the Diamond card to increase all Payouts. - Las Vegas Casino atmosphere featuring incredible music whilst you play. - Stunning HD graphics make every game look spectacular. - Venus slot game based on Sandro Botticelli's masterpiece painting “The Birth of Venus”. - Expect a visit from Santa to help you on your way. - Find the Pot Of Luck at the end of a rainbow. - Get the power of thunder with Furious Thor. - Avoid the bite of Count Dracula in Vampire Moon. - Can you handle the collective howl of 50 Wolves? - Get a taste of Vegas Luxury with American Beauty. - Experience the explosion of color and emotions in Rio. - Become mesmerized by an incredible show of Glitz and Glamour. What are you waiting for? Grab your 3,000,000 welcome gift in coins and get started! Every day we try our best to make your favorite game even better, so it’s time to prove that again! We’ve prepared this update to make your gaming process even more comfortable. Enjoy the improved performance and optimized graphics! Immerse yourself in the atmosphere of fun and excitement, risk and reward, big wins and jackpots! Check it out now! We know you’re going to like it for sure! I can’t help the fact that I love playing these games. I also can’t help the fact that it is not always “user friendly”. Please DO NOT let maximum bet be part of the daily challenge. Don’t tell me about how things happen “randomly” & are not entered manually. Fine. If your programmers can come up with these awesome graphics, they could also come up with a program that would address this. Yes I know that the daily challenges are my choice. I also know that the game is more enjoyable, at least for me, as I look forward to & complete the daily challenges. Two years without the maximum bet as a required daily challenge. Now it is about twice a month. I hate this. Again, my choice to play; it had also been my choice to look forward to the daily challenges. You have taken this away. I guess I’ll just have to look forward to the special event challenges, & they’re kind of ridiculous too when you level up & the minimum bet is 6,000,000. The “minimum”?! Yes, I’ve written before. Yes, I know you won’t fix it. But I also have read other reviews & can tell I’m not alone in this. And while I’m ranting, just take the maximum bet option away from the spin button. If someone wants to bet maximum, they know how to get to it. Like another reviewer stated, it is really irritating & annoying because it’s so easy to accidentally hit that max bet button. I feel like a stupid fool because I keep coming back; I’m a fool because I like the game. Stupid dang fool. The matter is that max bet allows winning much more. In any case, it is a significant step to level up and to get some reward. The mission was made to let you feel all the advantages of the max bet button with less fear to lose. Nevertheless, it's only players' choice whether to complete such missions or not. It's possible to check the amount of max bet in the slot and rate your risk to make a weighed decision. Thank you for being with us. I wish you lots of luck to play and win! The graphics are outstanding and even more impressive are the varied games, with free spin and bonuses all so different. The winning combos also varied and fun. Love to play different games. New games come all the time, outstanding and also new bonuses offered. This is a lot of fun and keeps your interest. That said there are many features that need to be changed. The max bet function is a few millimeters away from the spin button. I am careful but..... if you play and the phone rings or someone calls you in another room and you carry your phone quickly, you easily hit max and 1 spin can loose 200,000,000 or much more precious points. I play minimums so huge mistake. Just happened second time to me. This is intentional on their part and just awful they can see your mistake and a single time will give you some. Not all and not again. Thank you for your kind words about the graphics and game. Our artists and game designers do their best to create the most beautiful and realistic view. As for the winnings, it is under the Fate's control, and nobody else can influence. From our part, we wish you lots of lucky spins and high winnings. I love the Vampire game !,,Continue to play almost daily, love this game Always enjoy playing, especially when I hit Huge Win! Continue to enjoy Infinity Slots, it is my very much needed time to unwind, thank you. I still play this game and your slots every chance I get. Thank you. I still enjoy having my own down time enjoying your games after the family is cared for and it’s time for ME , Thank you continue to play your games religiously, the light in my day... my joy every day.... Thank you. Hello! It always makes us happy to know that someone enjoys our game. Keep on playing and be sure that we have tons of surprises in store for you!